Happy Earth Day Everyone! Today, and Everyday, we need take the time to appreciate and respect this wonderful planet that we call home. Earth is where we live, work and play and we all must do our part to keep our home healthy for future generations. Let’s try our best to think locally and take conscious steps within your own family – such as conserve energy, recycle, try to eat sustainably. Every little bit helps to conserve our planet and protect our nature – plants, animals and environment. Let’s start within our own community! 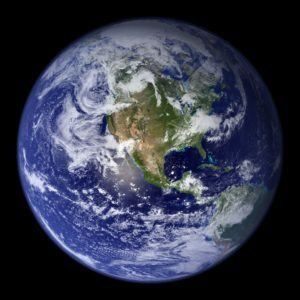 While there are many ways to respect our planet, we have some Earth Day ideas that will get you started right at home. “Lettuce” help get your whole family involved in these activities! Look for organic food to support farmers who practice organic farming that is free from toxic pesticides. Also purchase food from companies who use organic ingredients. Compost your kitchen scraps. Use your green bins so that kitchen garbage is diverted from the landfill. Or use a backyard compost bin so you can turn waste into fertilizer for use in your garden. Grow your own organic garden. If you have some space in your backyard garden, then think about growing some vegetables. Many vegetables can even be grown in containers, for example tomatoes, herbs, lettuce, peppers. Since it is Earth Day, let’s also try to be more planet-friendly and eat food that comes primarily from plants. As we read in the new Canada’s Food Guide, we should strive to choose protein food that come from plants more often. But rather than a complete changeover to plant-based diet, we would suggest that you try to incorporate more plant-based meals into your current food plan. For example, you could try a meatless meal once a week as a way to introduce the concept to your family. We know change can be difficult so if you take small steps to introduce a variety of different options then that will be much easier for you and your family to succeed. Here is a great list of Plant-based Protein options to get you and your family started. Plant-based diets offer all the necessary protein, fats, carbohydrates, vitamins, and minerals for optimal health, and are often higher in fibre and phytonutrients. Plant-based includes fruits, vegetables, nuts, seeds, oils, whole grains, legumes, and beans. It doesn’t mean you never eat meat or dairy, but you are choosing more of your foods from plant sources. Q1. Within our own family, we can do our part by adopting a plant-based diet. We asked Karen to provide a few key benefits for our bodies when we switch to plant-based foods? Karen: Plant-based foods have been linked to a number of health benefits among which is heart health. 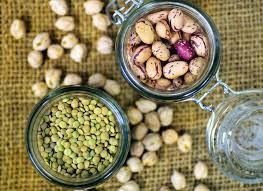 As plant-based foods like nuts, seeds, beans and legumes are rich in fibre and low in saturated fat they can help reduce cholesterol levels and lower blood pressure thus reducing our risk of heart disease. The fibre and protein in these foods is also helpful in managing blood sugar levels. This helps keep us fuller long which may help with weight management. There is also some research that supports a plant-based diet may reduce your risk of some cancers. Q2. Many people are concerned that they will not get all the protein and nutrients they need by eating plant-based. What types of plant-based foods do you recommend to get the most nutritional benefits? Karen: One of the biggest concerns about plant-based diets is that it will be difficult to get all the nutrients your body needs. And most specifically there is a concern about protein. It is possible to get these nutrients when you follow a plant-based diet as long as you are eating a variety of foods. And fruits, vegetables, nuts, seeds, beans and legumes all have protein! However, there are a few nutrients like Vitamin D and B12 that are more difficult to get on a plant-based diet. You should make sure to discuss your dietary preferences with your healthcare provider so they can advise whether or not you should consider taking any supplements. Celebrate Women on International Women’s Day! #IWD2019 Happy International Women’s Day to all the talented, confident, strong, entrepreneurial, caring women in our lives. You are amazing and we admire and appreciate all of you just as you are! On March 8th, women across the world come together to celebrate their accomplishments but there is still more to be achieved with regard to gender balance. This day is a call to action for businesses, government, media, employers and more … to truly make a difference to create a #BalanceforBetter! At Rooks to Cooks, we applaud and appreciate all the hard-working women in the culinary field. Once predominantly a male career path, we see more and more female chefs in strong roles in the foodie world. So amazing to see women as chefs, restaurant owners, and educators across the country. 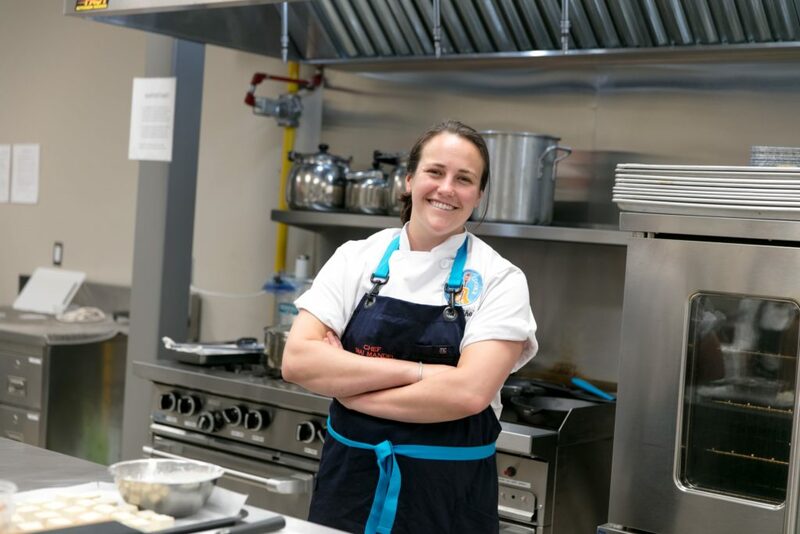 Chef Shai Mandel confidently and successfully chose to fulfill her goal of teaching cooking to the next generation of potential chefs by starting her own company, Rooks to Cooks. Shai is a chef and teacher and has been working in kitchens her whole life. 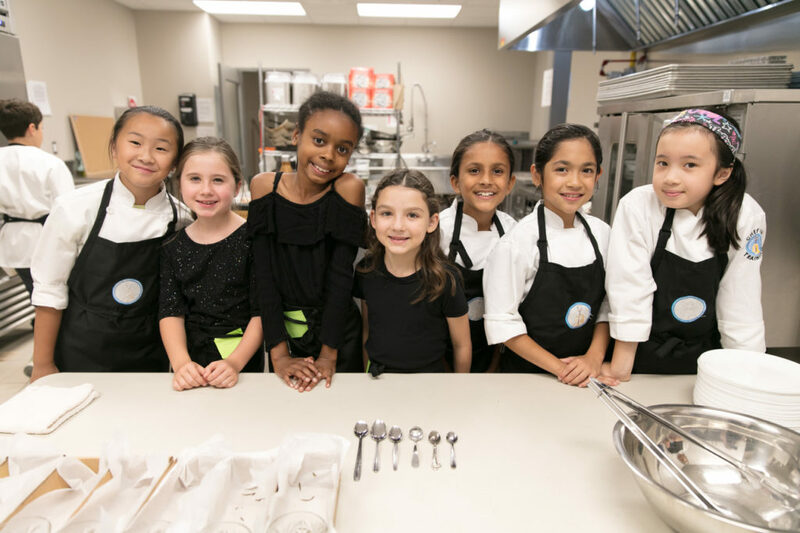 Inspired by her passion for food and education, Shai’s goal is to teach today’s youth valuable cooking skills and life skills that they can use both in and out of the kitchen. Let’s look at some other renowned female chefs that have made a mark in the culinary field. In Canada, we have our popular group of Food Network chefs: Lynn Crawford, Anna Olson, and Christine Cushing, to name a few. But we were also thrilled to see that the list of female chefs is steadily increasing at many of the top restaurants across the country. 1. Choose protein foods that come from plants more often. As someone who has been following a mostly vegetarian diet for about 30 years now, plant-based proteins have always been the hero on my plate. However, most people think of animal-based options when it comes to protein. As a mom with a vegetarian daughter, I am always asked how she gets her protein and I always tell people there are so many options, even for those who say they hate tofu. Things like beans, lentils, chickpeas are all great plant-based options you can incorporate into your meal or build your meal around. Nuts and seeds and even vegetables have protein. It really isn’t difficult to get enough protein following a plant-based diet but you don’t have to go plant-based all the way. Start with “Meatless Monday” and then add more plant-based meals as you become more comfortable and find options your family likes. Trying adapting family favourites and make tofu stir fry instead of chicken or make black bean tacos instead of meat tacos. 2. Have plenty of vegetables and fruits. It may come as a surprise to lots of people that half their plate should be made up of fruits and vegetables. I think a lot of people have been following the old “protein, carbohydrate and a side of veggies” mantra for preparing meals with the traditional meat, potatoes and a side of veggies. This veggie half of your plate can be anything from a single vegetable, a mix of vegetables or even a green salad. Or make soups and stews with lots of different vegetables. Believe it or not but you don’t need as much protein as you think and vegetables have protein too! 3. Be mindful of your eating habits. This was a really insightful addition to the Canada Food Guide. Not only is it important what you eat, but how and when are also important. Are we eating because we are hungry or are we eating because we are bored or even stressed or anxious? It is important to look for our internal cues, so we eat when we are hungry. And, of course, enjoy our food. Food should be savoured and not inhaled on the go. If we eat in a relaxed manner, our bodies will be able to digest our food properly and absorb all those amazing nutrients. Now here’s an idea! Cooking from scratch. I think our culture has moved away from the notion of cooking from scratch. It seems everyone is too busy to cook these days which is so unfortunate. 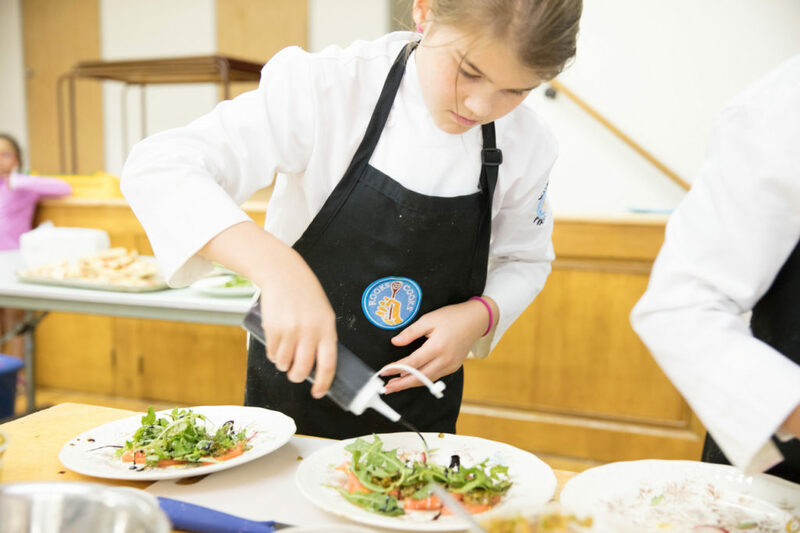 We need to get back in the kitchen, not just for ourselves but for our kids. How are they going to be able to feed themselves? We don’t want them to eat a diet full of fast or processed food. That’s not going to help the ever-increasing rate of obesity and Type 2 diabetes. Just basic skills like learning how to make an omelet or even boiling pasta will go a long way in helping them be self-sufficient when they move out on their own. Rooks to Cooks offers our kids just this chance. Forget about all those YouTube food videos! Hands-on cooking is where it’s at. 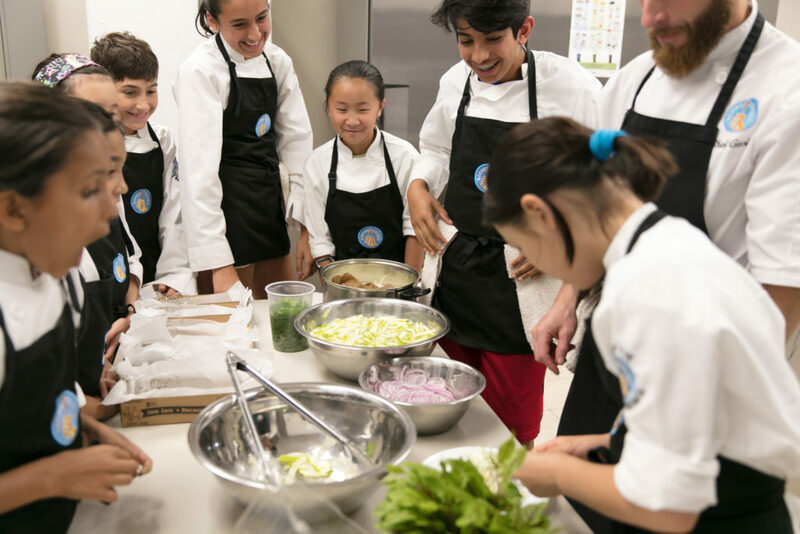 At Rooks to Cooks kids will not only learn how to cook but to become more comfortable and confident in the kitchen. Kids also gain the opportunity to expand their palate by trying new foods. How awesome is that?? Too many of our kids eat the same thing over and over again. At the Rooks to Cooks cooking classes, chef instructors take the time to explain about nutrition and how to safely navigate a kitchen. 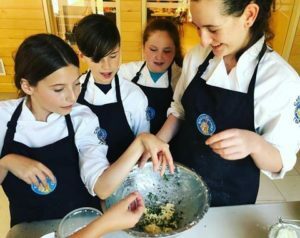 Kids will come away with a keen understanding on how important cooking really is and how easy and fun it can be. About Karen Gilman: Karen is a Toronto-based holistic nutritionist who is passionate about supporting families with vegetarian children. Even if you don’t have vegetarian children, but are looking to incorporate more plant-based proteins into your family’s diet, Karen can provide you with some guidance. To get in touch, please email Karen at: karen@nutrilicious.ca or sign up for her newsletter at: www.nutrilicious.ca and grab a copy of her e-book Vegetarian Teen Basics For Busy Parents.